Samford's McWhorter School of Pharmacy offers two residency programs to allow new pharmacists to further develop their skills. After graduation, it is recommended that new pharmacists complete a postgraduate pharmacy residency to further develop their practice skills. Most of our graduates complete their residency training elsewhere, but every year we offer a number of residency opportunities here. 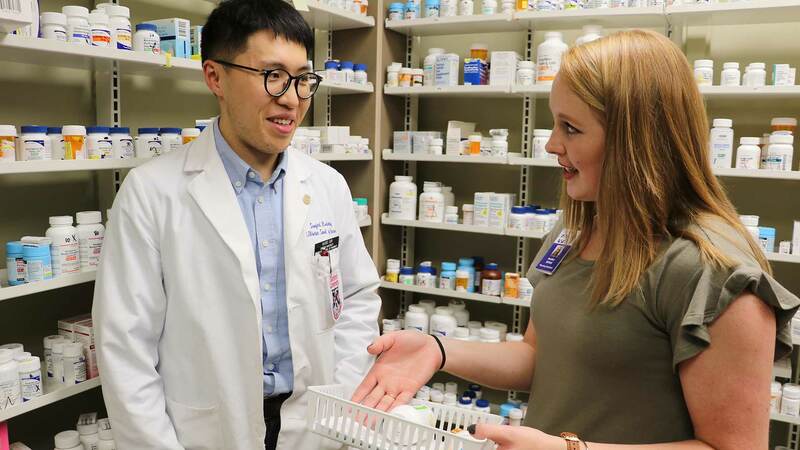 The McWhorter School of Pharmacy offers two residency programs: Postgraduate Year One (PGY1) Community Pharmacy Residency and Postgraduate Year Two (PGY2) Pharmacy Residency. This 12-month intensive learning experience is designed to develop leaders in community pharmacy through experiences in patient care, dispensing, practice management, teaching, research and public health. Currently, this residency is in partnership with Christ Health Center. This 12-month intensive learning experience offers training in a public health setting and focuses on interdisciplinary patient care, teaching and service to underserved patients. Currently, residencies are offered in partnership with Jefferson County Department of Health.